With Gores’ support, the Cosmo Specialty Fibers management team achieved a number of operational milestones since opening and successfully reached full production capacity by the end of 2011. In 1957, the Weyerhaeuser Company built a high purity cellulose mill (also known as dissolving wood pulp) in Cosmopolis, Washington, an area whose economy relies heavily on the lumber industry. 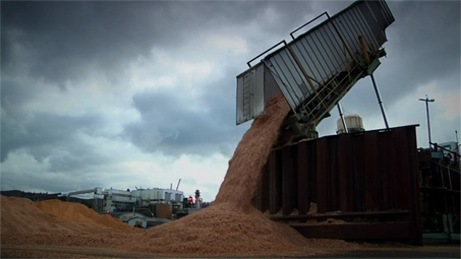 After determining it to be sub-scale and non-core to its operations, Weyerhaeuser mothballed the pulp mill in October 2005. The mill’s closure cost the city of Cosmopolis 40 percent of its revenue and more than 200 jobs. The opportunity to acquire the mill was offered to The Gores Group on a proprietary basis due to an existing relationship from a pre-fund portfolio company. Upon due diligence, Gores saw a potential investment opportunity not obvious to others and drew upon its in-house expertise to design an operational blueprint for a complete restart of the mill. Gores’ analysis revealed that the mill was fully capable of achieving consistently high volumes of top-quality viscose and acetate production, which are currently in tight supply globally and present strong prospects for growth over the next five years. Pulp feedstock is commonly found in clothing, cosmetics, filters, LED screens, cellophane wrap, pharmaceuticals, food processing, and many other products. 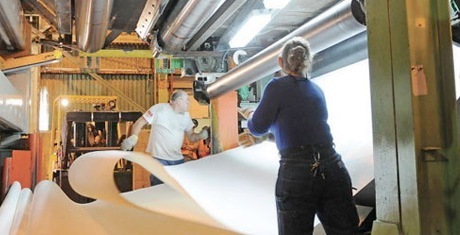 In September 2010, The Gores Group led an investor group in the acquisition of the Cosmopolis high purity cellulose mill from Weyerhaeuser Company. Gores provided the operational and financial support necessary to restart the mill and partnered with an experienced management team to execute the transformation. Because of the trust that Gores built up within the community, local lawmakers were there to help move the project forward quickly. The restoration of Cosmo Specialty Fibers created over 200 jobs, many of them filled by former Weyerhaeuser staff and over 95% employed from Washington State. The restoration also funneled more than $110 million annually into the economy. Following the refurbishment and restart of the mill, Cosmo Specialty Fibers produced and shipped its first export of saleable pulp: over 6,000 metric tons of baled pulp that was subsequently shipped to Shanghai and Quingdao, China. With Gores’ support, the Cosmo management team executed significant operational milestones since opening and reached full production capacity by the end of 2011.